Lebanon Support has published two new types of content in the data centre of its Gender Equity Network, on the CSKC, documenting the various types of violence faced by migrant doemstic workers in the country: Migrant Domestic Workers Testimonies, and the Mapping of Migrant Domestic Workers' Cases of Deaths. 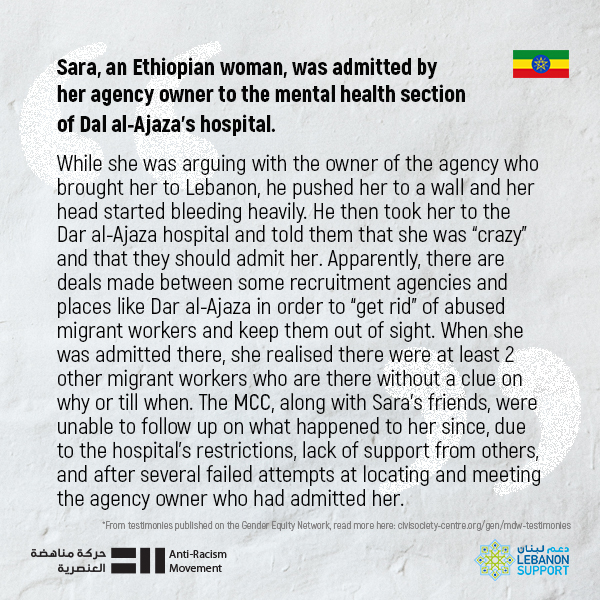 The personal testimonies of migrant doemstic workers aim to showcase how the kafala (sponsorship) system affects and, sometimes dictates, the lives of migrant domestic workers, leaving them with very limited options. 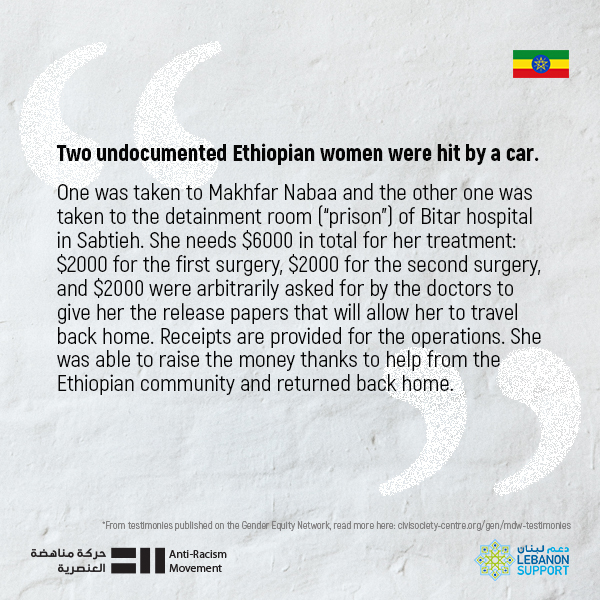 These testimonies highlight the personal experiences and day-to-day violence and discrimination faced by migrant domestic workers in Lebanon. This qualitative content has been developed as part of an active collaboration between Lebanon Support and Anti-Racism Movement. 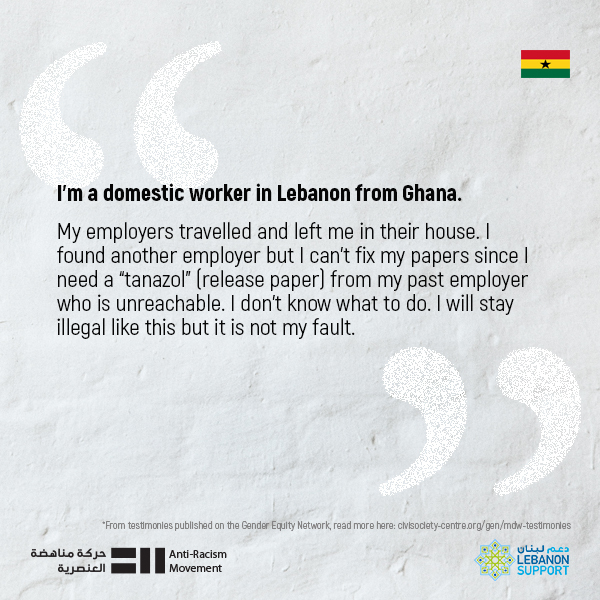 Read more testimonies from migrant domestic workers in Lebanon here. Lebanon Support has also published another mapping, which is however quantitative, to further document violence against migrant domestic workers in Lebanon. The map, developed as part of an active collaboration with Kafa (Enough) Violence & Exploitation, documents alleged “suicides” of MDW, which have been a recurring issue in recent years. This map visualises the high frequency and distribution of these cases, and collects information about the reported stories. This map aims to highlight the linkages between the kafala (sponsorship) system and the high rates of abuse and deaths of migrant domestic workers.